The aim of ICEAM2017 is to place 10 years of interdisciplinary research at the Cluster of Excellence Engineering of Advanced Materials (EAM) in the international context of state-of-the-art science and engineering research. Our target audience is local, national and international researchers working in fields where EAM is active. 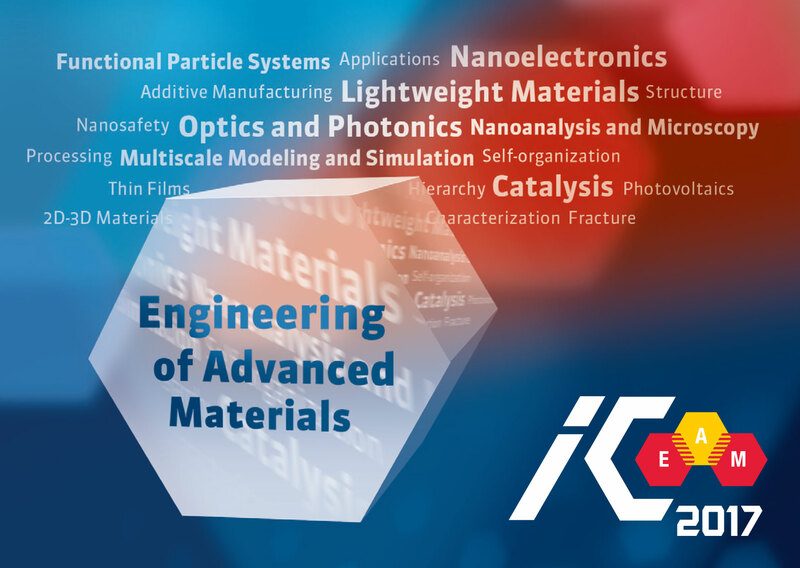 With a mix of invited plenary, keynote and submitted talks and posters, the congress will focus on EAM’s four application fields, Nanoelectronic Materials, Photonic and Optical Materials, Catalytic Materials and Lightweight Materials. Furthermore, the key role played by our cross-sectional topics, Functional Particle Systems, Nanoanalysis and Microscopy, and Multiscale Modeling and Simulation will be apparent throughout the congress. In connection with ICEAM2017 the International GRK 1896 Satellite Symposium “In Situ Microscopy with Electrons, X-rays and Scanning Probes” will take place on 9 October 2017.